Website Security Checklist for 2019 | How Secure is Your Website? Putting a website on the internet refers to the very aspect of exposing that website to hacking attempts, traffic sniffers, data miners, and port scans. While visiting a website, most of us look for the lock icon just to make sure a site is secure, however, that only scratches the surface of what can be done to shield a web server. Cookies store sensitive data from websites; securing these can avoid impersonation. Furthermore, establishing a few configuration options can actually protect both your complete website presence against both automated and manual cyber attacks, thus preventing your customer’s data from getting compromised. Given below is a website security checklist for 2019. Following this checklist will help strengthen the security for your business website and also guard it against sensitive information exposure and several other vulnerabilities. Web application scanning will help find loopholes or vulnerabilities in a website that hackers could target. 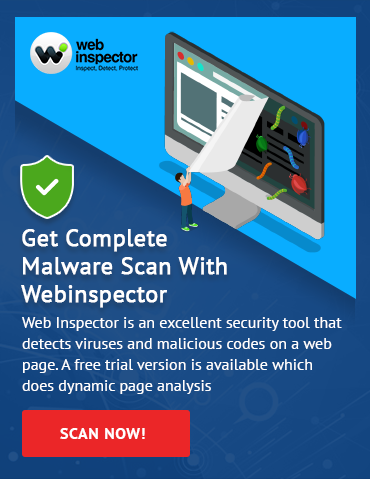 Using a good online web scanner is one effective way to check your website for threats or vulnerabilities. To regularly check implemented security capabilities, you can carry out vulnerability assessment and penetration testing and then apply fixes to ensure that your website is not vulnerable and open-to-hack for the hackers. A Web application firewall (WAF) is capable of protecting a website or web application from different application layer cyber-attacks such as SQL injection, broken authentication and sensitive backend data exposure, cross-site-scripting (XSS), file inclusion, bot attacks, cross-site request forgery, and many more. This WAF will permit you to monitor and manage the website’s security and also boost the website’s performance. Passwords like “12345” or “password” are some of the basic formats still used by a few individuals. As part of this website security checklist, ensure to create passwords that have a combination of special characters, alphabets, and numbers. Refrain from using something that can be easily guessed by an acquaintance. Meaning, do not use your date of birth or kid’s name etc. Be creative and make sure not to use the same website for all your logins. Keep changing your passwords once in six months. Taking a regular backup of your website/data on a weekly or monthly basis is highly recommended because backups can make an entire copy of your database or website files allowing you to restore or rollback your website to its earlier state. It is possible to transmit secure cookies only across an SSL connection. Failure to use secure cookies would result in permitting a third party to intercept a cookie sent to a client and then impersonate that client to the web server. To use secure cookies, it is expected that you should have already guaranteed sitewide SSL, as cookies will not get delivered over unencrypted connections. Distributed denial of service (DDoS) attacks take place when a hacker sets several compromised systems to flood the bandwidth of a website simultaneously. The server then gets overwhelmed and begins to reject all visitors. Using a web hosting provider capable of putting protective measures into place is considered to be the first line of defense, but with the increased spread of common DDoS attacks, making an added investment in a DDoS mitigation service can further reduce your risk. Escaping user-supplied input, so that the database will be able to recognize any data users supply as different from SQL code written by the developer. Apply white list input validation, which permits the database to identify any unauthorized input prior to processing it. Employing parameterized queries to help your database distinguish the difference between data and code. Using stored measures that are clearly defined within the database and provided to users, instead of letting them enter their own.